West Park Nature Center is a passive recreational facility located in Union Township. The District, in cooperation with the Lawrence County Board of Commissioners has been working to enhance the facility. 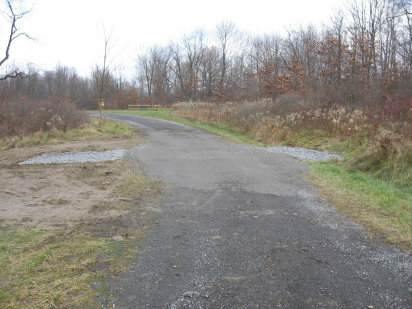 The enhancements made to the park have increased the usage and consequently the wear and tear on the access road into the property. 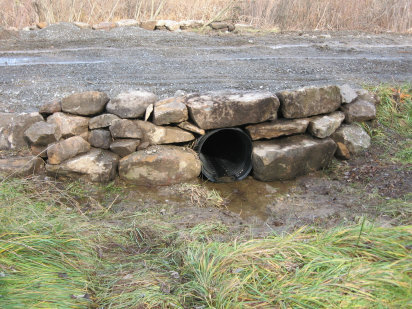 During fall of 2010, improvements were made to the northern access road to address some of the areas where the unstable road surface, drainage problems, and site conditions were contributing sediment to the stream and wetlands on the site. Drainage issues on the site were improved by the installation of a new culvert, ditches, and a French mattress drainage feature. The driving surface has been vastly improved by the installation of geotextile and a specialized driving surface aggregate used by the program.